The Hip Hop community lost a rising star: Lionel 'Chinx' Pickens was gunned down in the early morning hours of May 17, 2015. A father, husband, son and brother, Chinx leaves behind a legacy of music for his fans. He was truly a great life cut short. As Chinx' extended family, please consider helping out his family during this devastating time. This fund will be established to provide some financial support for the tough road ahead. As you can imagine, in today's challenging economic climate, losing your primary source of income can be devastating. When that loss is due to the unexpected death, it leaves a void that can never truly be filled. Instead of sending flowers, please consider helping the family fill part of the financial void. Your donations will help provide much needed financial stability to a family who deserves so much more than what they have been dealt. We cannot replace the warmth, charisma, wit, charm, and love that Chinx gave to not only his family, and friends, but also, his fans. We can however, help keep them focused on what really matters, and that is each other. This campaign was started due to the overwhelming request by Chinx's fans and friends wishing to get involved to help the family and his children in the wake of this tragedy. The fund was established by Chinx's professional management team in full cooperation with his family. ALL proceeds will be placed into a trust for Lionel's 3 children and family. On behalf of the Pickens family, Mungin family and Four Kings Management, we thank you all for your love, support and generosity. This is the official and only fundraising campaign for the family. My condolences to Chinx's family and friends. We have truly missed a great artist in the Hip-Hop community. Chinx was going to put NY's Hip-Hop presence back on the map. His music will live on. R.I.P. brother. My condolences, prayers and thought goes out to the to the entire Pickens family. Chinx's music changed my life. Wish I could've know the man behind the art. 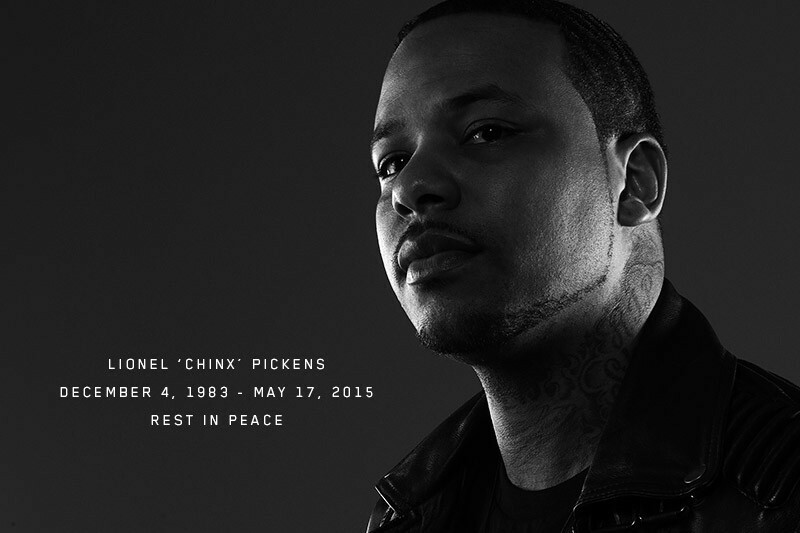 R.I.P Lionel "Chinx" Pickens. Your Gone but still alive too me in your music , I'll See you when it's my time to Go. Rest in Peace. Love and Support for your family.